The thread of this no-nonsense stainless steel anchorage point (Ø 16 mm) is screwed straight through the wooden panelling into the beam. Simply drill a hole through the panelling (at least 18 mm) and into a load-bearing wooden beam (min. 80 mm x 120 mm). 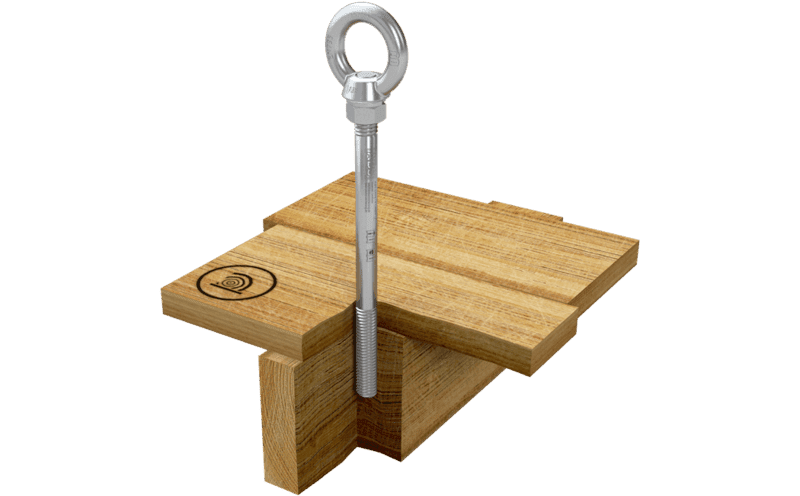 Unsurpassed simplicity: To install our ABS-Lock III-H anchor all you need to do is to drill one single hole. Then just screw the lower thread of the anchorage point straight into the beam. Once installed on your flat roof - as either a retention or arresting system - this anchorage device provides fall protection for up to 3 individuals. Our ABS-Lock III-H is manufactured completely from corrosion-resistant stainless steel and is suitable for lateral loads. 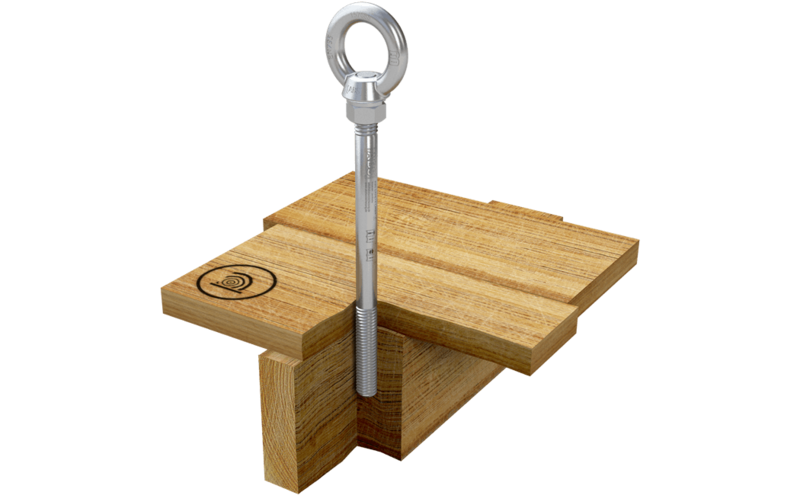 You can also use this anchorage point as an intermediate support in a lifeline system installed on a wooden surface. Like all ABS Safety products, our ABS-Lock III-H bears a weatherproof label containing all the relevant technical details.